Flat Wheat Chain Necklace in 14K Yellow Gold . This fascinating Flat Wheat Chain Gold Necklace is accentuated in 14K Yellow Gold. 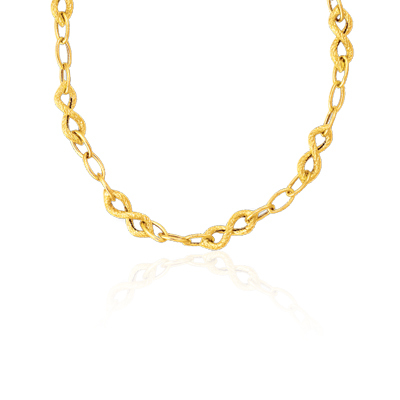 This necklace comes finished with an 18-inch 14K Yellow Gold Chain. This exquisite designer necklace displays sheer elegance.